Well, it turns out that I have no self control when it comes to actually finishing (or even starting) my planned projects. 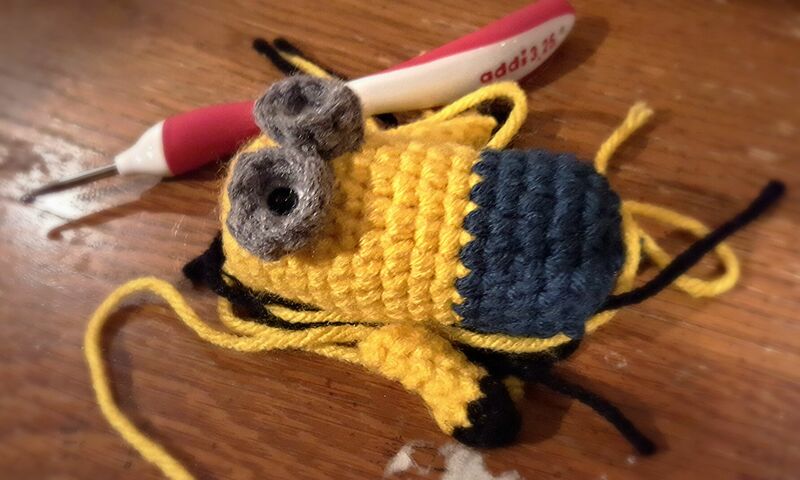 Mr. M. and I saw the Minions movie this evening, and I couldn’t wait to make some adorable little minions of my own! Given how small I want their general size to be, working the smaller details (goggles and arms, to be precise) has been a little slow going, but fear not! I’ve changed my tactics a bit and things are looking positively…yellow? It looks good! Kevin is up first, then Stuart and then Bob, my favorite. Here’s a sneak peek!